The Tyler Prize Executive Committee announces the awarding of the 2005 Tyler Prize for Environmental Achievement on its thirty-second anniversary to Dr. Charles David Keeling, Professor, Scripps Institution of Oceanography, University of California, San Diego and Dr. Lonnie G. Thompson, University Professor, Byrd Polar Research Center of Ohio State University. Drs. Keeling and Thompson are recognized for their pioneering research, which has laid the foundation for and provided the clearest evidence of the growing impact of global climate change. The 2005 Tyler Prize for Environmental Achievement is being awarded to Charles David Keeling to honor him for his rigorous time series measurements of atmospheric carbon dioxide and their interpretation. These carefully made observations conducted over four and a half decades, and continued today have revealed world wide increases in carbon dioxide (CO 2) with striking spatial and temporal patterns of variability that show relationships between the carbon cycle and climate, and reveal unanticipated links between these components and the earth system. From his remarkable lifetime of scientific investigations, we know that humans are altering the global physical environment. Dr. Keeling’s lifelong work began in 1954, at the California Institute of Technology where he first developed techniques to measure the amount of carbon dioxide in the atmosphere accurately and reliably. He moved to the Scripps Institution of Oceanography in 1956 where he began systematic measurements of atmospheric carbon dioxide which has led to the single most important time series data set for the study of global change, the record of the global increase in atmospheric carbon dioxide measured at Mauna Loa Observatory, Hawaii, which he began in 1958. This detailed record is now commonly referred to as the “Keeling curve”. Dr. Keeling’s measurements clearly demonstrated that the mean atmospheric abundance of carbon dioxide is increasing globally. The world now recognizes through his work at Mauna Loa, as well as measurements at other locations, that the rise in abundance and a related change in isotopic composition of carbon dioxide is owing mainly to the global combustion of fossil fuels. Dr. Keeling realized early on that to learn about the inter-relationships between the global carbon cycle and climate, it was necessary to study a suite of earth processes in addition to the measurement of the carbon dioxide concentration in the atmosphere. He simultaneously worked on the isotopic measurements of atmospheric carbon dioxide, and the alkalinity and partial pressure of oceanic carbon dioxide in surface seawater, in order to put constraints on the fluxes of carbon dioxide into the continental biosphere and oceans. He also constructed a model of the carbon cycle into which future man-made CO 2 can be introduced to predict the concentration level in air and water well in to the next century. Dr. Keeling was born in Scranton, Pennsylvania on April 20, 1928. He received his BA degree from the University of Illinois, Urbana in 1948 in chemistry and his PhD degree in chemistry in 1954 from Northwestern University in Evanston, Illinois. From 1953 to 1956 he served as a Postdoctoral Research Fellow in geochemistry at California Institute of Technology. In 1956, he became an Assistant Research Chemist at Scripps Institution of Oceanography of the University of California San Diego and rose through the ranks to become a Professor of Oceanography and Research Oceanographer in 1968. He has spent his entire five-decade long career at Scripps. 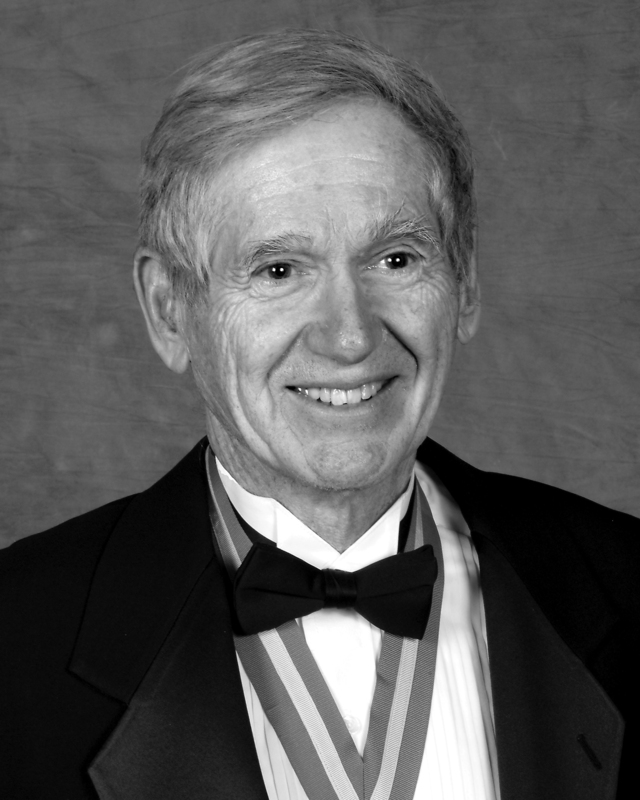 Dr. Keeling has been a member of the U.S. National Academy of Sciences since 1994. He is also a member of the American Academy of Arts and Sciences (1986). He is a Fellow of the American Association for the Advancement of Science and the American Geophysical Union. Numerous medals and awards have been bestowed on him. He received: the Second Half Century Award of the American Meteorological Society in 1980, The Maurice W. Ewing Medal from the American Geophysical Union in 1991, The Blue Planet Award, presented by the Science Council of Japan and the Asahi Glass Foundation of Tokyo in 1993. Vice President Albert Gore presented him a special achievement award in 1997. In 2002, President George Walker Bush bestowed on him the USA’s highest honor, the National Medal of Science. Keeling is the author of over 100 research articles. He was the co-convener of two international conferences on ocean and atmospheric carbon dioxide and has been a featured speaker at numerous scientific meetings. He served as a member of the Commission on Chemistry and Global Pollution of the International Association of Meteorology and Atmospheric Physics for 20 years. Professor Keeling’s work and publications are characterized by an extreme attention to detail and precision, which future generations of scientists can rely on and appreciate. Dr. Keeling’s entire career stands as testimony to the fact that individual scientists can, and do, make an enormous difference to the advancement of scientific understanding. The 2005 Tyler Prize for Environmental Achievement is being awarded to Dr. Lonnie G. Thompson for his pioneering work in the collection and analysis of valuable climatic information contained in ice cores from tropical glaciers around the world. These tropical ice core records have advanced our understanding of paleoclimatic conditions in the tropics and provided climate histories against which current climate changes may be compared. This paleoclimate record has provided some of the clearest evidence yet of the ever growing impact of global climate change. The collection of these high elevation records is a heroic mountaineering feat that requires courage, daring and physical endurance comparable to the legendary explorers of yore. Dr. Thompson led the development of the field of tropical, low-latitude ice-core paleoclimatology. In 1974, he explored the Quelccaya ice mass in the Peruvian Andes, theorizing that its great altitude and isolation preserved a long-term climate record. His initial efforts to obtain funding met with discouraging and negative reviews about the practicality of success in the forbidding environment of such high altitudes and with skepticism about the quality of the information preserved in these low latitude, alpine ice archives. However, he doggedly persisted and finally obtained funding in 1979. In collaboration with others, his team developed a lightweight, low-cost solar powered drill, which was essential for successful operations at low latitude regions. He led a highly successful expedition, in 1983, back to the Quelccaya ice cap where two 160-meter ice cores were recovered to bedrock. He discovered among other things, that major European climate events, such as the Medieval Warm Period and the Little Ice Age, had corresponding climate shifts in tropical regions. Over the last two decades, Thompson, assisted by his research team, and with determination and technological and logistical ingenuity, has overcome the many challenges involved in setting up camps and working at these high altitude sites for long periods of time under very harsh conditions. Thompson and colleagues have conducted more than 40 expeditions to some of the most remote and difficult regions on the planet, including the Himalayas in Tibet, the ice caps of China, Mt. Kilimanjaro in Africa, and many remote peaks throughout South America. These cores have proven that tropical ice fields contain ancient ice deposited during previous glaciations and tropical records can and should be compared with polar ice core records. Thompson’s data has provided invaluable information on global climate change and has helped change perspectives about the contributions of tropical records to global climate change research. Thompson’s work has drawn attention to the recent dramatic rates of change in tropical glaciers, showing that rates of melting and retreat are unprecedented in recent centuries. These tropical glaciers are melting rapidly and from his work on Mt. Kilimanjaro, Thompson estimates that at the current melting rates the ice fields there will be gone by 2020. Dr. Thompson was born in Huntington, West Virginia on July 1, 1948 and grew up on his family’s farm in rural Gassaway, West Virginia. He won a scholarship to Marshall University in West Virginia and majored in Geology. 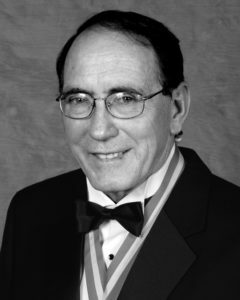 He received his BS degree from Marshall in 1970 and then went on to the Ohio State University (OSU) to pursue a MS (1973) and PhD (1976) in Geology. In 1976, he became a Research Scientist at the Byrd Polar Research Center at Ohio State. He rose through the ranks to become a Professor in the Department of Geological Sciences at Ohio State in 1994. Dr. Thompson is a Fellow of the American Geophysical Union. He has received numerous medals and awards. Time Magazine and CNN recognized him in 2001 as one of “America’s Best in Science and Medicine”. Ohio State recognized him in 2001 with the University Distinguished Scholar Award. In 2002 he was named University Distinguished Professor, the highest award given to faculty at OSU. He received several distinguished awards in 2002; the Dr. A.H. Heineken Prize for Environmental Science, Royal Netherlands, Academy of Arts and Sciences; the Vega Medal of the Swedish Society for Anthropology and Geography, and the Commonwealth Award for Science and Invention (jointly with his spouse and collaborator, Dr. Ellen Mosley-Thompson). Dr. Thompson has been a tireless advocate for recovery of cores from the disappearing glaciers in the tropics. He has served on numerous national and international committees and has delivered scientific seminars on his work at numerous public and private institutions around the world. In recent years, he has been a tireless spokesperson informing the public about global warming. He has appeared numerous times on television, radio, and his work has been featured in popular books, magazines and articles. He has testified before Congress and has helped to alert the public about the potential consequences of global climate change. Thompson’s efforts have truly been heroic.